Got an interview coming up where you’re applying for the role of a Certified Public Accountant? We’ve got you covered! Listed below, you’ll find some of the most common Certified Public Accountant interview questions with advice on how to reply. Check em out below and thank us later! What experience do you have (if any) as a Certified Public Accountant? This one’s pretty simple – discuss your experience as it relates to the job you’re applying for. Of course, on the off chance you don’t have any experience in the role, plan ahead and have some examples of tangentially related experience. Your interviewer will appreciate your ability to relate skills gained in one position to another. As we move into the future, what challenges do you feel our industry is facing, especially the role of Certified Public Accountant? To be certain, a wide range of answers are acceptable here. AI, automation, and inexpensive labor are all interesting items to bring up. No matter what you answer here, do some research ahead of time and be sure you can back up your answer. How do you minimize the risk for errors in your work? Hey, no one is perfect – but when it comes to accounting & finance, perfection in numbers is expected. No, the company you are applying to isn’t expecting their employees to be flawless. What your interviewer seeks here is a process for quality control. While it sounds quirky, Ive developed my own system for QA that I call the x – its bailed me out more times than I can remember! Tell me about a time you used numbers to tell an effective story? The truth is in the numbers. What’s being asked for here is an example of when you were able to prove a point by providing truth through the data. A great example here would be anything relating to a decision where your data made a difference. Have you ever had to give someone difficult feedback? We all love praise, and we all dislike hearing our work criticized. Any competent interviewer in the accounting profession understands that mistakes happen. The interviewer here is looking for one thing in particular: how you reacted in the situation. Was there ownership of a mistake, or deflection? By showing your cool in the reaction itself, you demonstrate leadership characteristics that employers love. Ill never forget the time my old boss talked to me about x. The way it was handled was totally professional, and thats been my model ever since. Give me an example of when your attention (or lack of attention) affected the outcome of a project. Why? 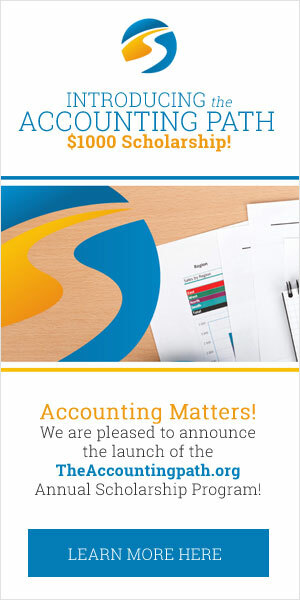 The devil is in the details – and even more so with accounting! You’d be hard pressed to find any job in the accounting & finance industry where being detail oriented isn’t a major requirement. Like many non-valid responses, your statement ‘yes I am a detail oriented person’ is not going to cut it. Which online tools, cloud software, or other accounting specific platforms are you familiar with? Every modern accounting practice will require some level of proficiency when it comes to software. If your experience lies in a single – or outdated platform, be sure you are familiar with the current standards. Do some research and investigate new platforms or recent developments in the software field. Culture is important to us here. Which style of work enviornment do feel most productive in? Culture is king these days, and for good reason. Many studies prove that hiring for culture first and ability second yields far superior results. While you may be a chatty extrovert, be mindful of your response here and how it may be perceived by the interviewer. What made you leave your last job – and why are you choosing us? This one can be leading, and must be answered carefully. Your need for better pay or indicating that your ‘old boss was an idiot’ may leave your interviewer with the wrong impression of you. Regardless of the reason your employment ceased to be, keep it on point and do not get negative here.